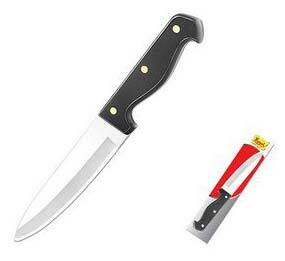 We are counted amongst the prevalent Manufacturers, Suppliers, and Exporters of Half Blade Rivet Handle Knife. We carry out our operations from Rajkot, Gujarat, India. We are well-equipped with the latest machinery and equipment, which are required for their manufacture. We offer them in various sizes, to meet the variegated demands of our clients. The entire production process is carried out under the supervision of our dexterous professionals.